Talking to Bilal is like a conversation with that really cool friend that has no idea how cool they are. He is humble, laid back and sans ego and laughs at himself for trying to be cool. 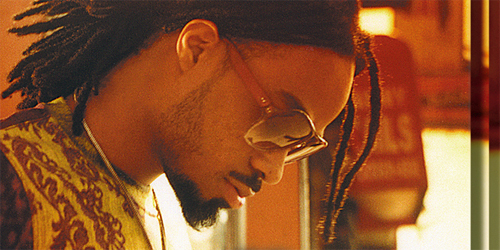 He doesn’t need to try – the man and his voice personify the essence of Neo Soul smooth. With a career spanning 18 years, 4 studio albums and countless collaborations with some of R&B’s finest artists, Bilal has been quietly evolving and morphing into the formidable triple threat. 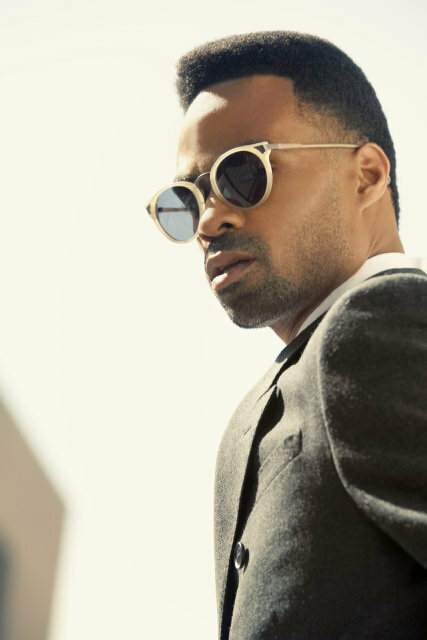 As a singer/songwriter, musician and producer, Bilal, who got the singing bug at an early age attending church services with the mother in his hometown of Philadelphia, he isn’t one to put a label or title on the music he creates and likes to be quite simple in his approach to it all, saying “I just do what I do and don’t think too much about it”. Hailing from the City of Brotherly Love in Philly, his roots were always in the much loved and respected jazz scene and remain a firm component in who he is as an artist today. Residing in New York City today, Bilal is a firm believer in that of one’s creativity being a strong product of your surrounds and he credits both his beloved cities as crafting him into the intricate soul performer he is today. From his strong debut album back in 2002 ‘1st Born Second’, which featured high profile productions from beat kings Dr Dre & the late J.Dilla and gave us the feel good and righteous single “Soul Sista”, right up until his recent Feb 2013 release “Love Surreal”, which debuted at #1 on ITunes R&B chart, Bilal has always been an artist that sings to whatever his listener his hearing him with be it their heart, soul, body or mind. Music and words that resonate with all he reaches seems to be the secret behind his enigmatic style success. 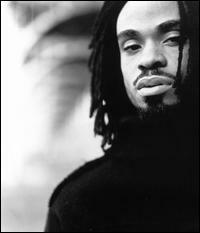 That and a firm belief that he refuses to be pigeon holed into a genre, stressing the neo soul term does not fit what he does, Bilal continues to expand and push the boundaries of his music just to make his point. However you choose to define his sound and style, one thing is certain, the man can sing and sing so well that the likes of Hip Hop’s royalty all want to collaborate with him. From Common ( Nag Champa, The 6th Sense ) , The Roots, Erykah Badu, Jay Z ( Fallin) and Jill Scott to name a few , Bilal has lent his vocals to enhance the works of these incredible artists. Yet through it all his ego and humility has remained unfettered, so much so that when the topic of another collaboration was mentioned, that of his appearance on Jazz / Soul artist Robert Glaspers 2012 ‘ Black Radio’ album, on a song called ‘Letter to Hermione’ does his humility really breaks through. His joy and excitement at the mention of his old college friend and musical colleague’s album being spoken of in Australia made the interview that much more honest and really highlighted the essence of who Bilal is. With only two shows in Melbourne and Sydney, Bilal is excited to be in Australia and promises his ‘Love Surreal’ show to be one beyond definition. We are truly lucky to be in the presence of such a pure undiluted musical soul as this and will be part of music history as we take in real music delivered the way it was meant to be. From Philadelphia to New York to Sydney, Bilal’s musical journey is one that knows no boundaries from an artist that defies definition – it’s just music! Such an honour to talk to you Bilal. How do you feel about being in Australia – this is your first trip here right? Any expectations? Yes it’s my first trip here and I am expecting it to be a fun experience you know. The people I have met so far have been really cool and hilarious ( laughs) , so I’m looking forward to whatever this trip brings to me. Your music is nothing short of soulfully sublime to the ears of a true music lover. What is the best way you can describe your sound and style? I don’t know, it’s kind of like Retro Space Blues. …(pauses) mmm I don’t know why I just said that (laughs). I was trying to make myself sound really cool to that great question of yours, clearly that didn’t happen ( laughs ). I really don’t think about putting names to my music or describing my sound, I just do it I guess. You got your musical start as a young boy attending church with your mom in Philadelphia – how far back can you remember what it felt like for you when you heard someone sing, or you heard a song and just thought “ wow that’s what I want to do”? I’d say around 10 or 11 years old you know, that’s when I really started singing lead and involving myself in music. It was just something I was always into and most of the people that were my audience in church were my family members so it just made that start of my journey a little easier with the support I got really. Your career in the world of neo-soul, R&B, and jazz hip hop fusion has spanned some 18 years, and you have given us some amazing music, from your debut album 1st Born Second right up to your recent release A Love Surreal. Can you share your thoughts on how this journey has been for you and how you have evolved as an artist? I think it’s been a trying journey for me you know to get where I want, it’s been a test. But it’s also been a strengthening journey as well, that has been rich with a lot of jewels that I’ve gathered through the years as well. Evolution is a continuous thing for an artist and for me it changes as I do. You are a triple threat in the music world in that you are a singer/songwriter, musician and producer. Describe a day in the life of Bilal with all these hats you wear? I don’t know – A day in the life of Bilal …..I just hang out your know ( laughs). My inspirations and muses are around me every day, I take my family life or just life in general. I like to set goals and push myself everyday,im working out, learning guitar and setting up a regiment every day and from that I become more inspired to do what I do. You were born and raised in city of Brotherly Love and amazing jazz in Philadelphia and you reside in the music mecca of New York City…..how important do you believe an artist’s surroundings are to their success and growth? (Laughs)I love Philadelphia – it is a big small town you know. You know a lot of the musicians know each other and that kind of close community always works well with fostering music relationships. I think surroundings have a lot to do with creativity you know I think I’m at a stage now where I’m inspired by wherever I am and record in different places.. Early on for me though my goal was to move to New York and just be in the jazz movement. Timing has a lot to do with musical journeys too and bringing me to Australia have been amazing and I would love to come out a little longer next time. You are touring Australia for the first time ever this coming weekend – what can your Aussie fans expect from a Bilal show? A Bilal show is very free flowing you know – don’t come expecting to hear the music exactly as it sounds on the album as I have written my music to expand in the live stage and show different sides of myself. When I write I create from a jazz perspective in that the music and writing is very loose so in the shows it all stretches out and we have a lot of fun bringing it to live. What’s next for you Bilal once you leave our shores and head back home? You know right now I am just really excited about playing my music and touring the world visiting different places. Coming to Australia and then heading off to Istanbul is a highlight for me as I never been to either country. I’m just focusing on the Love Surreal Tour going around the US as well and bringing people my music. ← Introducing Graephotography – Photoshoot Fresh!